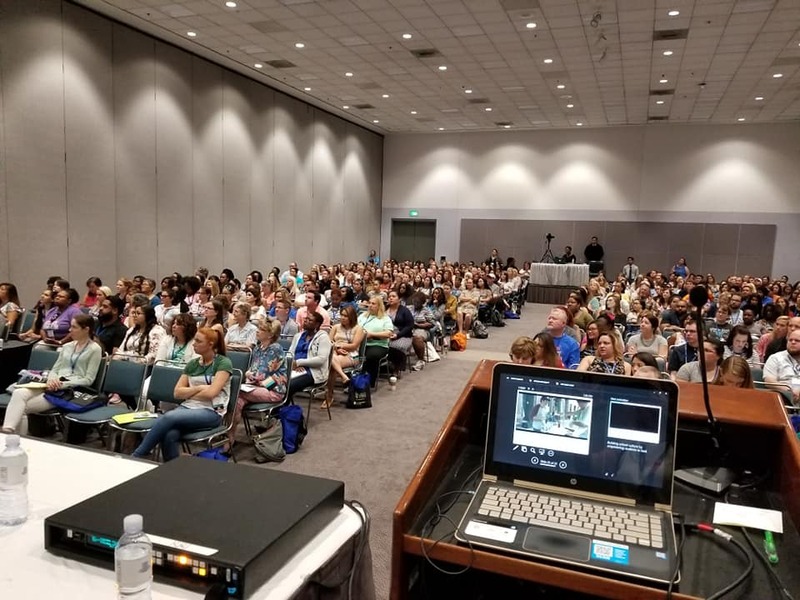 Thank you to all of the amazing & dedicated professionals who are attending the ASCA Conference this week in Los Angeles and a special thanks to those who chose to attend my session on Group Activities to Help Bring an End to Bullying. I loved all of the audience participation during the presentation and enjoyed the many conversations with attendees after the session. * Hawkins, D.L., Pepler, D.J. and Craig, W.M. (2001). 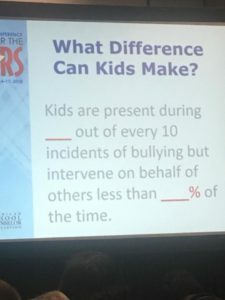 Naturalistic observations of peer interventions in bullying. Social Development, 10(4). pp. 512-527. 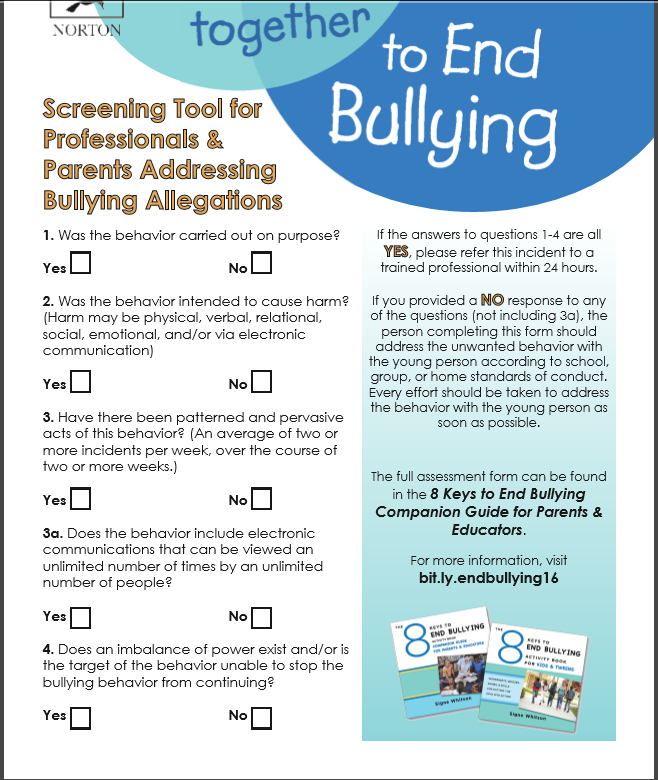 A full activity on this concept can be found in my book, The 8 Keys to End Bullying: Activity Book for Kids & Teens. 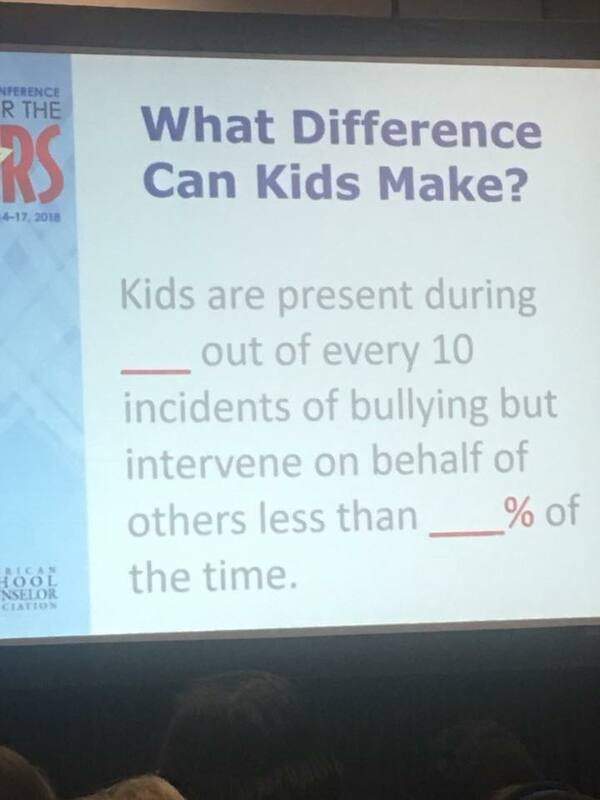 It is featured as Activity 29: 10 Things to Say and Do to Stop Bullying. Step by step instructions for using the activity with students are detailed in the 8 Keys Companion Guide. 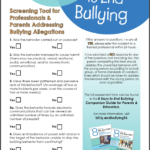 Lastly, for those who did not get a copy of the 4-question Rude, Mean, Bullying assessment tool, it can be found here. Further explanation and activity instructions for using the assessment in schools are also in the Companion Guide, in Chapter 1. If you have other questions, please feel free to be in touch on Facebook or by email. 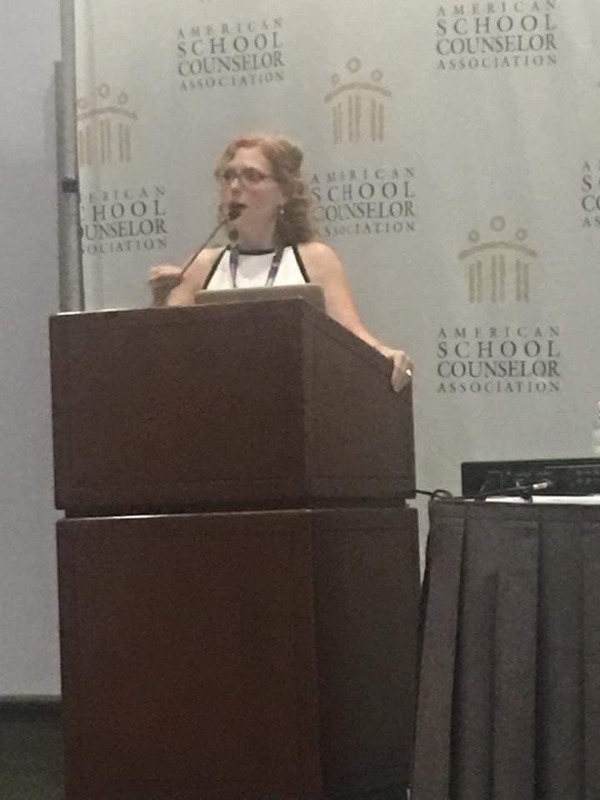 I hope you enjoy the rest of the Conference! 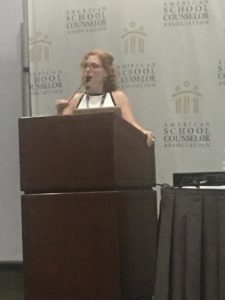 I’m Speaking at ASCA 2018! 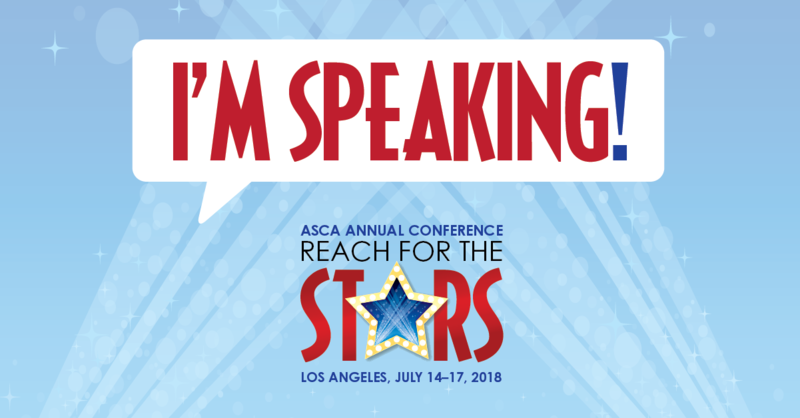 If you’ll be in Los Angeles at ASCA this week, I’ll be presenting Sunday morning on Group Activities to Bring an End to Bullying. Come visit!